And he says, "Yeah, I'm growing a mustache for Movember." And I said, "Crazy man says what?" And he says, "Google it." And it's a real thing. A real important thing - to raise awareness for men's health issues. are used to benefit the Prostate Cancer Foundation and LIVESTRONG. 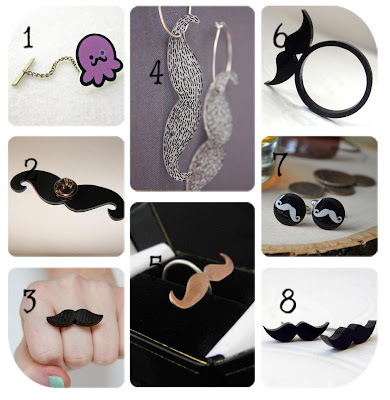 use to help support MOVEMBER too. I'm definitely picking up a few of them. 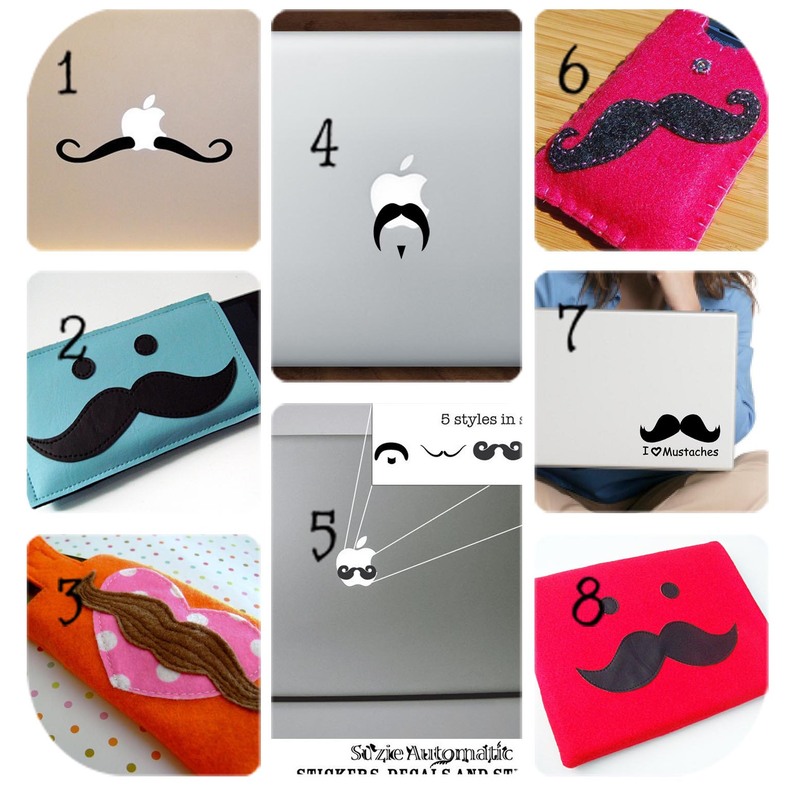 Wish I could buy them all. 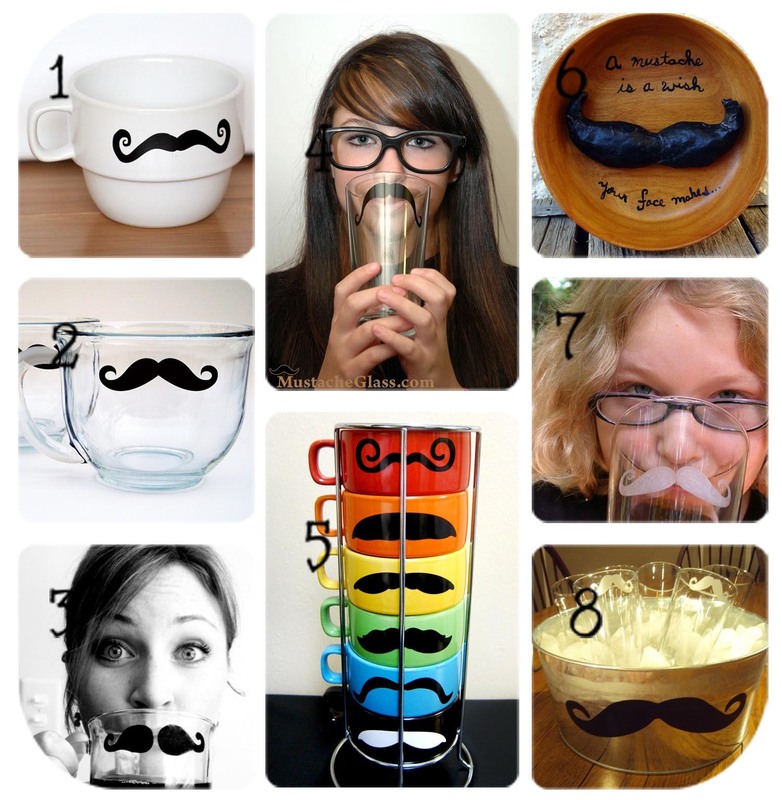 And, yes, I am having a mustache party. 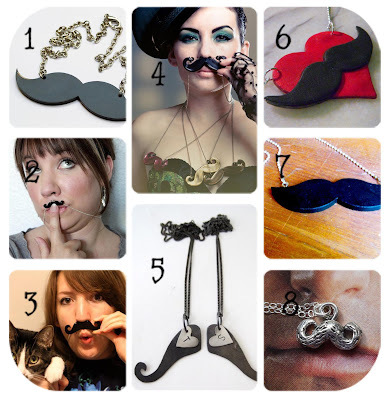 THANK YOU so much for including our The Stache mustache necklace - I LOVE THE COLLECTIONS you came up with! RAD! 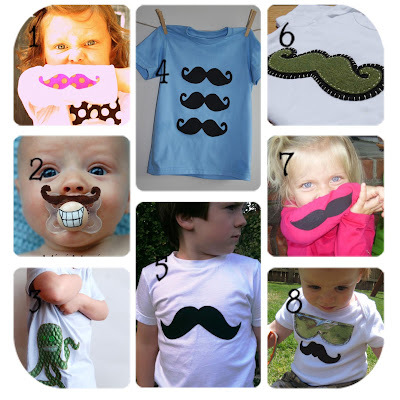 These links will be so helpful for my little man's b-day party. THANKS!! I had no stinkin idea. Look at all those awesome things at etsy. Fun stuff. Thank you for featuring my mustache necklace! Oh my goodness what fun! Thank you so much for including Little Retreats photo booth props on a stick! I'm so excited to have been introduced to your blog! Love, love, love it! 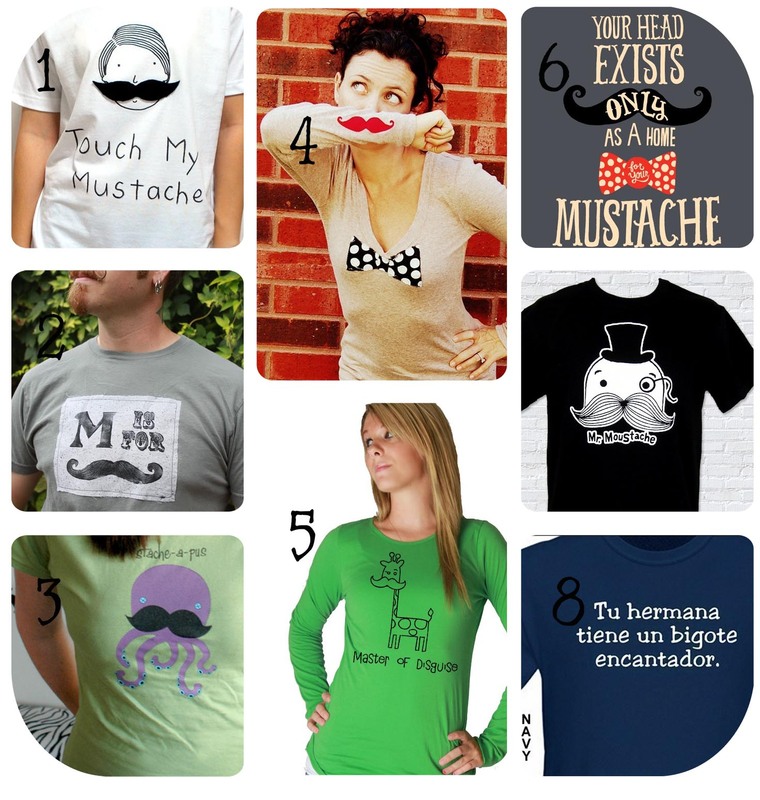 My hubby's growing a 'stache right now and everyone (myself included) is giving him crap for it. He's the lone Mormon guy on the fire department so they already call him Mo as a nick name - and now that he's growing a mustache they call IT the Mo-stache! LOL I'll have to get him some of this! 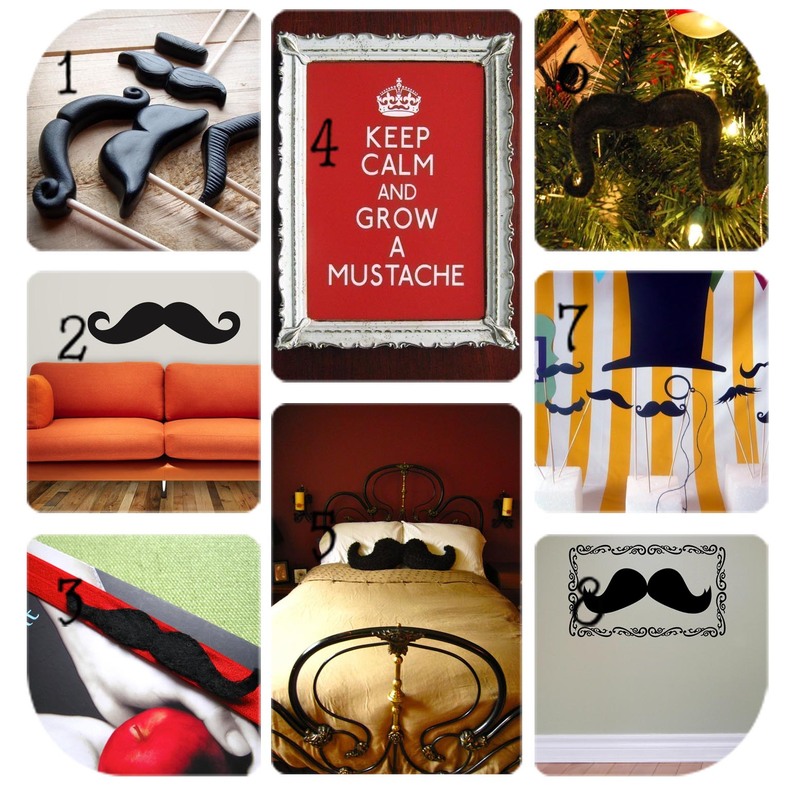 I especially like the framed "Keep Calm & Grow a Mustache" and the "M Is For Mustache" shirt. 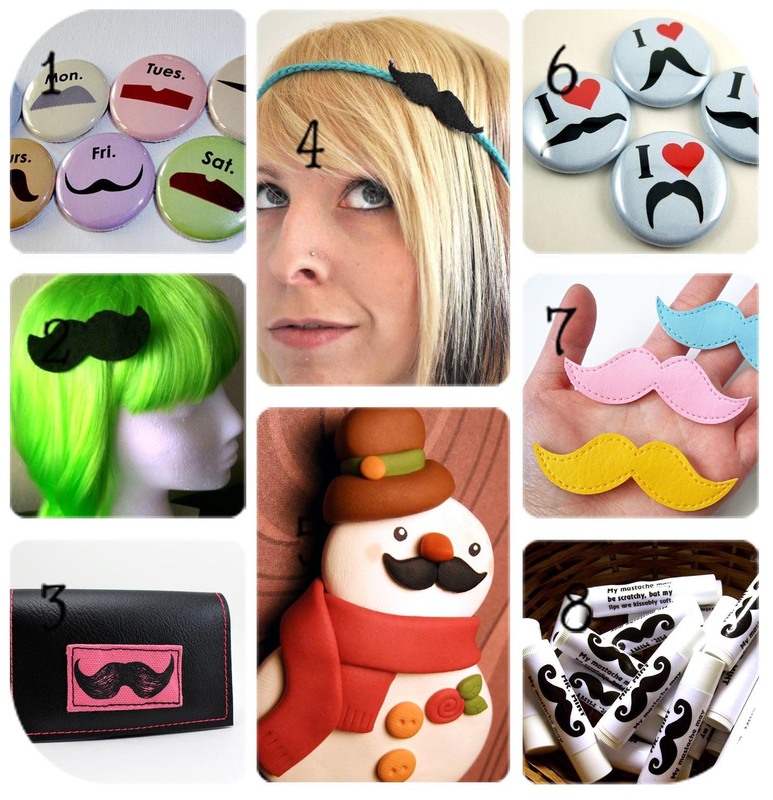 And I just might go for the "Super Fancy Mustache Necklace" for myself! Great post! Thanks for doing all the leg-work! My brother LOVES mustaches. This post has given me lots of ideas for Christmas. Thank You!